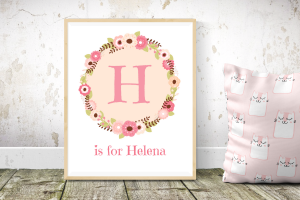 Get your free personalised floral girls printable. Just pop in your details below to get your free 8 x 10 inch personalised wall art. You’ll receive your personalised picture within 24 hours by email. Please note that this printable is free but your email address will be added to our newsletter list. You can opt out at any time.